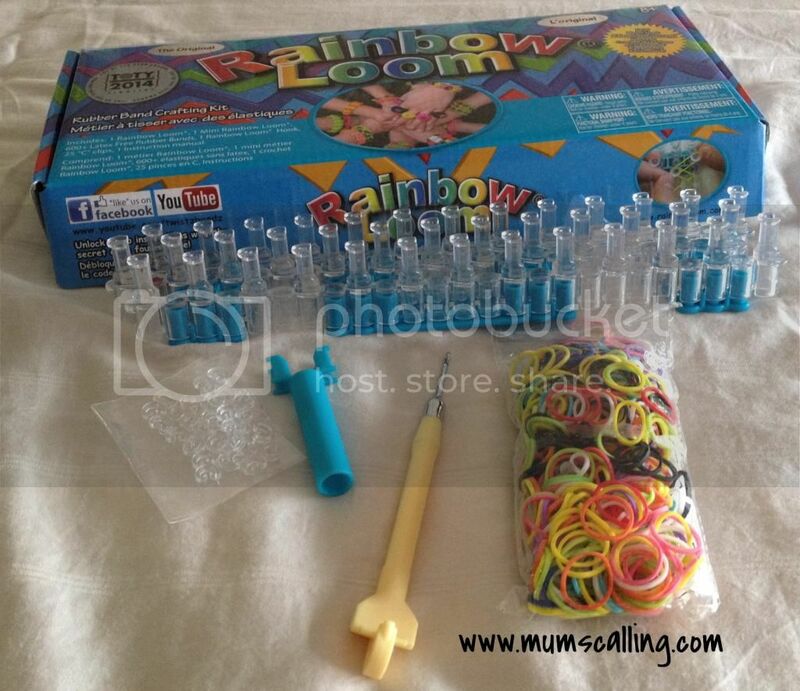 We are recently into the looming craze, yes, rainbow loom! 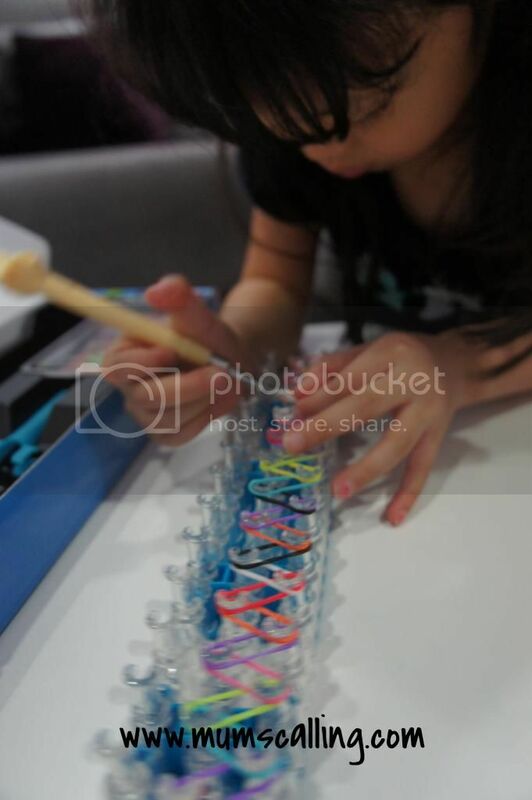 Jazz had it all started, when her friends came over to teach her making these colourful bands. I didn't think much about it, until I saw how conscientious and patient she was with the bands. I thought I should give it a try too! The kind people from Pupsik Studio have sent us a box for review. And that's when the Mama decided to get involve in the world that she has been engrossed in. I started a bout of rainbow looming hobby these days! In addition to my already hectic routines, I couldn't believe I found some time to do this. Oh well, it was time well spent because I explored it together with Jazz! 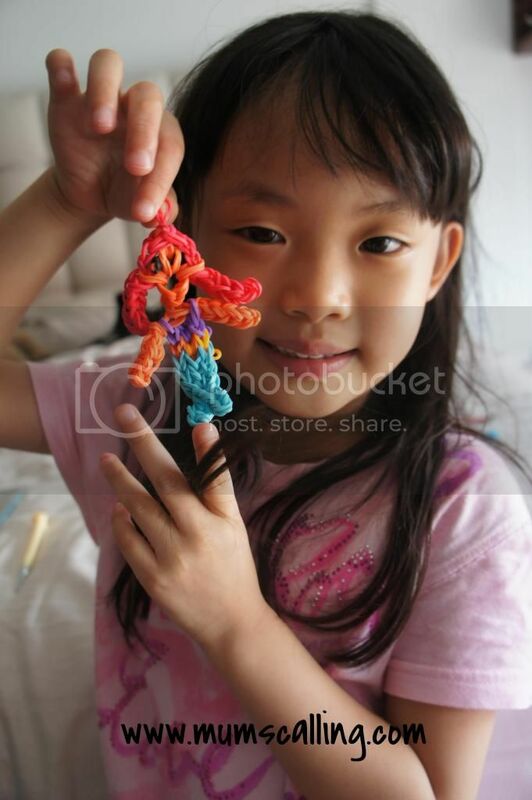 What Rainbow Loom is all about? It is a crafty and fun filled kit to help us make funky patterned bracelets, hair clips and other accessories with colourful rubber bands. This kit comes with two loom templates (including one mini sized for travelling), metal hook, C-clips, instructions and 600+ pieces of latex free rubber bands. 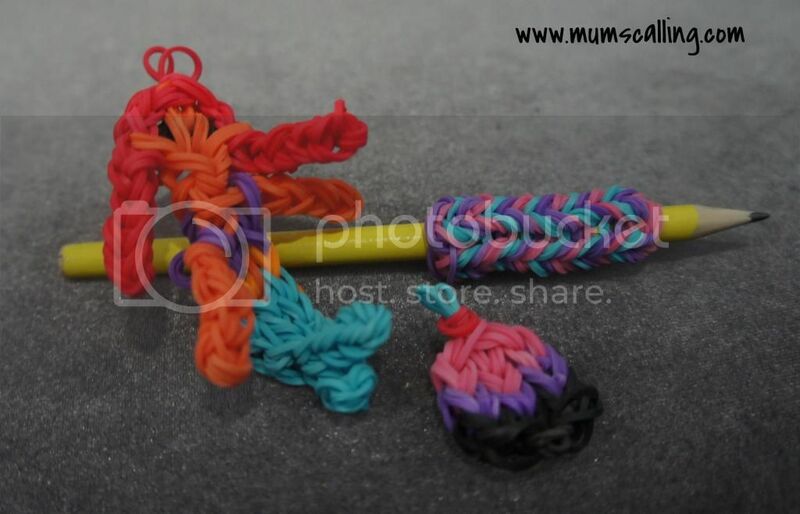 Make up to 24 rubber bands bracelets with this entertaining kit! Rainbow Loom rubber bands are BPA-free, Phthlates-free, Lead-free, and Chromium-free! Includes an instruction manual too! However, do beware of the counterfeit products around. Despite similar appearance and names, the counterfeit products are of much poorer quality. Fake rubber bands often have chemical smell and feel oily, fake bar pins are much lighter than original and leave very sharp edges if broken. 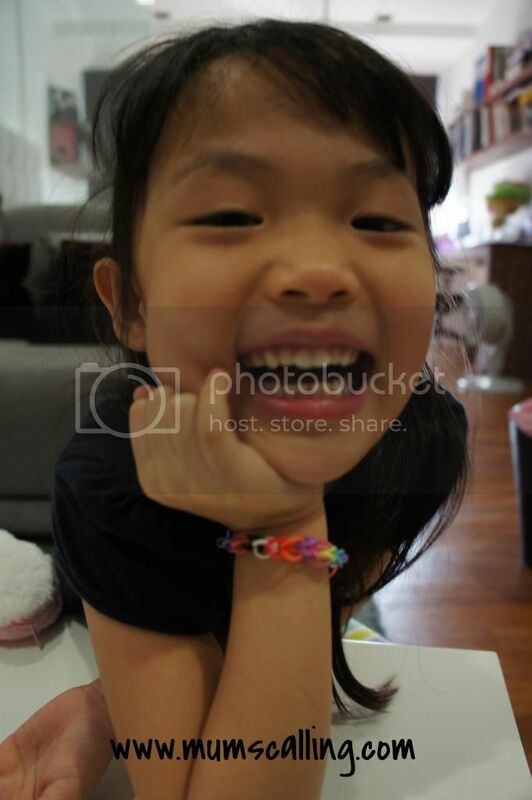 Pupsik Studio sells only genuine Rainbow Loom products as children health and safety is their top priority. It's us, parents' priority too, isn't it?!! 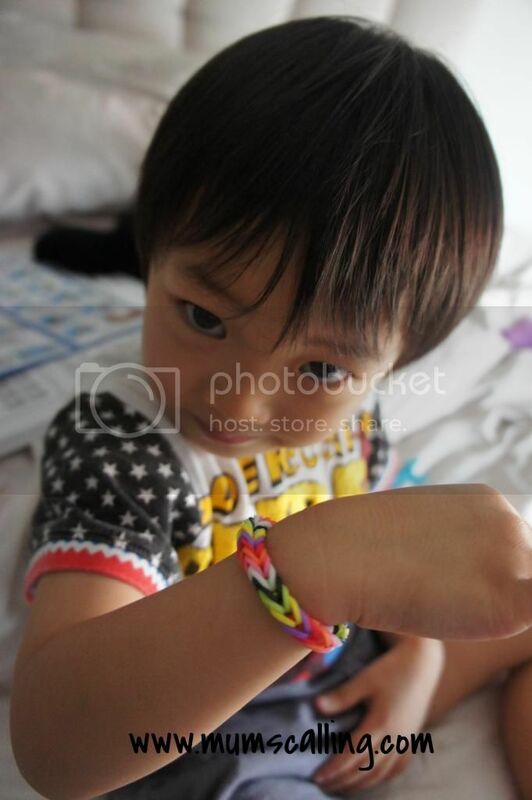 And here, we have a little someone who agreed to tutor us through the process of making Fishtail bracelet. It's her first online tutorial demonstration. Applause! I think she did pretty well. I swear, I knew nothing. She was my master! After which, we went on to explore the World of looming. I gave Jazz the liberty to youtube around for simple ideas, which she really did try to figure most parts herself. I completed the rest of her challenges. Princess Ariel, pencil grip and cupcake! Exploring other adventures did take us some time and energy. It was some nice bonding we had, as well as great fun throughout. And once in it, it's almost difficult not to explore more. I like the determination and effort we put in, to get our goals achieved. Some steps took us more than a few tries, and I had to demonstrate perseverance! How about staying indoor to loom a weekend away. Bet you'll have tremendous fun with the kids! They'll never look at you the same way again. 1. Get onto: Pupsik Studio. Free delivery on orders above $60. Everyone loves gift! Contest ends Tuesday, 24 June 2014, 2359hrs. Disclaimer: We were given 2 boxes of rainbow loom for reviewing and giveaway purposes. All opinions and pictures are solely ours. I would like to enter the contest for my sister. Jazz is really patient to do it. I wanna try it too. Hope to win so that my 5 yr old can try looming. Thanks for the great blog post and giveaway !! I saw a boy wearing rainbow loom bracelets in church camp. And he said his dad made them for him. So I am sure my boys can wear them too (it is not just a girly thing!) and that i can try making it too! Liked & shared. Hope to win a set for my gal. Thanks for hosting the giveaway. Hope can get lucky to get this for my sweetie!